One of the biggest fears that patients have about visiting the dentist is that the dentist will find a cavity and tell them they need a filling, or worse. However, this is a self-fulfilling prophecy. When you avoid the dentist for fear of a cavity, you’re almost certain to develop one eventually. 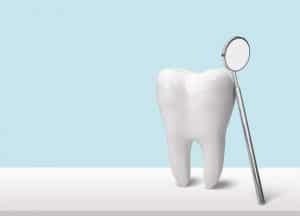 Here’s some good news though: It has never been easier to receive a dental filling for your cavity if you do have one. Tooth-colored filling options and advanced technology make it painless to fix your tooth and get back to feeling great about your oral health. If you have a cavity, the black mark on your tooth is already causing you some cosmetic trouble. You don’t have to choose an obvious metal filling that others will notice. Your dentist has tooth-colored options, like dental ceramic or resin, that create a subtle filling for your tooth. That means that after treatment, the affected tooth will still match the appearance of your surrounding teeth. These tooth-colored fillings don’t take any longer to administer (actually, in many cases, they’re easier to set for the dentist), so you won’t have to schedule additional appointments. Some patients associate discomfort with receiving fillings. Depending on the severity of your filling, you may need some numbing agent for the procedure, but advanced technology makes the process of receiving a filling more comfortable, and reduces recovery time after the procedure. Your dentist can actually use ultrasonic waves to disrupt plaque formation and break up tartar on the surfaces of your teeth. This is an effective way to clean out bacteria without all of the scraping that people find so unappealing. The best thing you can do for your teeth is avoid the need for a filling altogether. You can work to accomplish this by caring for your teeth at home and attending biannual checkups and cleanings at your dentist’s office. Many dentists can use ultrasonic technology for regular cleanings and even gum cleanings too. If you stay in the routine of visiting the dentist, you’ll avoid the apprehension that builds during long absences. Now is the time to schedule your next dentist appointment. Dr. Roberts and the Greenhaven staff understand that some patients may have dental anxiety. That’s why they provide a comfortable space and welcoming care environment for patients. Dr. Roberts also embraces dental technology, like the sonic Cavitron, to make your visits more pleasant. Schedule your biannual dental visit or cavity treatment by contacting Greenhaven Family Dental in Baxter, MN at 218-454-0523.